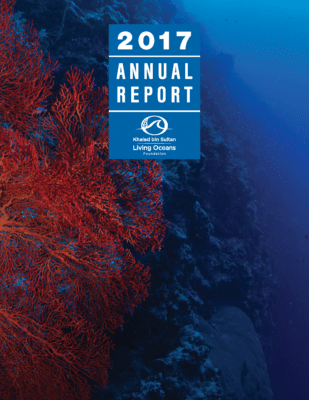 Throughout 2017, the Foundation Staff completed the arduous task of cataloguing and quality-controlling the “big-data” we collected during the Global Reef Expedition field work component (2011-2015). In collaboration with the University of Miami (RSMAS), we have embarked on a scientific path to model “potential resilience” of the coral reefs around the globe surveyed during the Global Reef Expedition. Coral reefs that are “resilient” can absorb stressors such as warming events and tropical storms, recover quickly and continue to be healthy and productive. Measuring ecosystem resilience typically would entail careful long-term monitoring before and after disturbance events. More expediently, scientists believe that we can measure certain variables that serve as good proxies for predicting the potential of a coral reef to be resilient. Our scientific probing of the “big data” has commenced with Fiji as a test case. Once we perfect the scientific methodology in that small region, we will begin to scale it to our entire global dataset. If successful, the result will be a map of “potential resilience” across 15 countries around the globe that will be an invaluable guide to inform conservation efforts. We are very proud of the success enjoyed from the Foundation’s first full year of operating our Education Portal. It is an award-winning, online resource being used around the world to reinforce STEM learning. Teachers can search on a standard they want to teach and be rewarded with turn-key lesson plans, vocabulary, quizzes and so many more engaging materials to stimulate students’ desire to learn. We also had great success with our immersive hands-on Caribbean STEM education programs based on mangrove science. The Foundation is enthusiastically supported in the Bahamas and Jamaica through our STEM out-of-classroom education programs. Once a student collects a mangrove propagule (seedpod), grows it, measures it, graphs its growth progress, and plants it back in the mangrove forest, s/he will never forget the science, technology, engineering and math fundamentals learned throughout that hands-on experience. There is no better way to educate youth in our opinion. Finally, our Communications team enjoyed great acclaim through the success of our film that we co-produced with the Smithsonian Channel. An Ocean Mystery: The Missing Catch won many awards from national and international film festivals. By all accounts, 2017 was an extremely successful and productive year for the Khaled bin Sultan Living Oceans Foundation.